The Brecks has something for everyone. Spanning 370 sq.miles across Norfolk and Suffolk. As one of the driest parts of Britain our large skies are often blue. 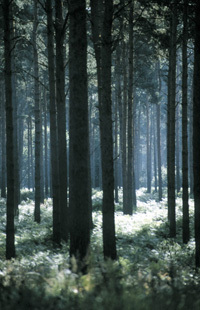 Thetford Forest Park, the largest lowland forest in the UK has miles of tranquil trackways and paths to explore by foot, on horseback or by bike. For the more adventurous a visit to High Lodge is a must. With childrens’ activity areas, Go Ape high wire, Segway and bike hire all on site, there is something for everyone. Or take a trip back in time to visit the amazing Grimes Graves where flint was mined from Neolithic times until the 1970s. Enjoy the wonderful local food and drink, including England’s only whisky maker. Thetford town itself lies at the heart of the Brecks. Filled with history and heritage sites, quiet gardens, open parkland and a relaxing riverside, it has many attractions. 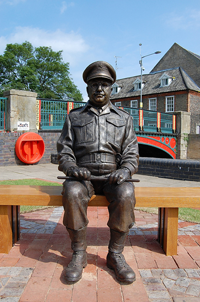 The famous BBC television series Dads Army was filmed in and around the town fictionally titled Walmington-on-Sea. Thetford’s location allows for good access from the South East and the Midlands via the A11 and the A14. We also have a railway station, 5 minutes walk from us, with direct trains to Cambridge, Ely and Norwich. There is also a Coach station with direct routes to London.